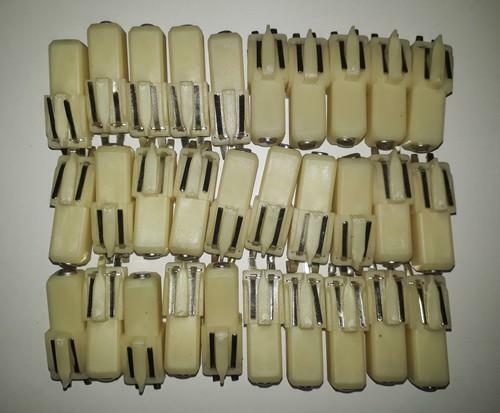 Energy Combustion, Ahmedabad supplier of all types of Riello Photocell. We, Energy Combustion, hold manufacturing and supplying a commendable gamut of Burners & related items. In this range we deal in below brand. TECNOGAS, BRAHMA, SIEMENS, HONEYWELL, KROMSCHODER, ECOFLAME, BENTONE, WEISHAUPT, RIELLO, DUNGS. We supplying Gas Burner, Burner Sequence Controller, Ignition transformer, Solenoid Valve, Ignition Electrode, Siemens Burner Controller, Natural Gas High Temp Burner, Air Pressure Switch, Gas Pressure Switch, Burner Motor, Ignition Cable etc. We are distributor of TECNOGAS make Gas Pressure Regulator, Gas Solenoid Valve, Safety Shut Off Valve, Safety Relief Valve, Gas Filter, and GAS TRAIN in India. This offered gamut is manufactured by making use of supreme quality required basic material, procured from the accredited vendors of the industry. Furthermore, we design and develop this range while taking into consideration defined quality parameters of the industry. Keeping in mind divergent demands of the clients, we have made the offered range available in different sizes and specifications. Along with this, we are engaged in trading a remarkable gamut of a Transformers, Pumps, Panels and Allied Industrial Products. The offered range is procured from the established manufacturers of the industry, who are acknowledged for their stringent quality measures. In addition to this, we also provide repair and maintenance service for all our products. Our organization is strengthened by a team of diligent professionals, vendors? base and sound infrastructure setup. Team which we have fulfills responsibilities related to entire production and managerial activities proficiently which makes us to serve our clients in the best manner. We are in association with reputated vendors of the industry, who make us to satisfy requirements of the clients with the finest products. Being a client-centric organization, we strive to derive maximum satisfaction of the clients with the offered product-gamut and ethical business practice. With our product-range and business practice, we have been able to maintain hard earned trust of significant clients.